this is the kind of swag i get. 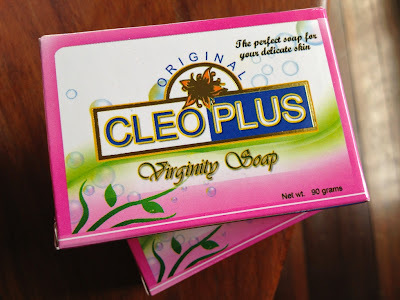 the press release read (edited): "...the first feminine wash in a bar, Cleoplus Virginity Soap is especially made for the women of today. A feminine soap to use for washing the delicate genital organs, it has an anti-bacterial and anti-microbial agent. With regular use, it will give a tightening effect (regular use would mean three times a day)." try niyo?